Over the past 10 years, Dr. Kava has been providing Chiropractic care to the Chicago land communities. She has created an environment where people can be relieved of pain through gentle chiropractic techniques, and live happier, healthier lives. 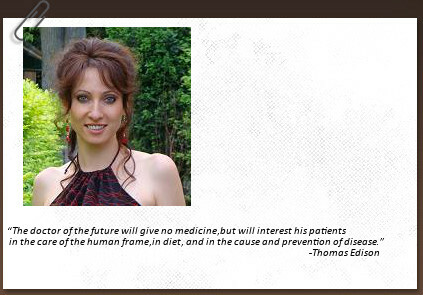 Her approach to health is a preventative model based on the teachings of Functional Health and Medicine. Supporting Human Physiology with Nutrition and proper lifestyle will allow the body to heal from a variety of conditions. She is a compassionate Doctor who has always put her patient’s interests first and has always taken the time to listen. Dr. Kava is licensed in Illinois and has spent her entire Chiropractic career in Northwest Suburbs of Chicago. Graduating in 2003 from National University of Health Sciences, She remains an active member of The American Chiropractic Association and The Illinois Chiropractic Association. Dr. Kava is a strong advocate of health and wellness care and makes it a priority for herself to continue to stay very active and exercise daily. She enjoys gardening, hiking, bicycling, reading, and spending time with her family. After completing her undergraduate degree In Biological Sciences at University of Illinois at Chicago, Dr. Kava was accepted to National University of Health Sciences, Lombard Illinois. Dr. Kava has completed her Chiropractic internship at National University of Health Center at Chicago and Salvation Army at Chicago IL in 2001-2003. Upon graduating with her Doctorate of Chiropractic, Dr. Kava moved to Park Ridge, Illinois to begin her Chiropractic practice and to fulfill her dream of having a Chiropractic Wellness Center. Dr. Kava is certified by the National Board of Chiropractic Examiners and licensed by the State of Illinois. She was certified in clinical acupuncture in 2005 by International Academy of Clinical Acupuncture.